Porsche doesn’t want to bow its head as Tesla passes. While many automakers are content to let the electric vehicle pioneer lead the field, Porsche wants to take on the giant. Can they do it? 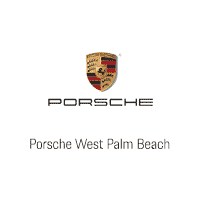 We say, “Yes!” Electric Porsches are led by a performance luxury flagship: Porsche’s Mission E.
The Mission E marks Porsche’s bold entry into the high end, electric vehicle field. The major obstacle that Tesla faces is ramping up their production. They haven’t been able to do this and pioneer new technology at the same time efficiently. Porsche already has the experience and capacity to scale up, so all that’s left is being the next automaker to push the technology. Porsche’s Mission E does this by using an 800-volt system to charge. This is half the time it takes a Tesla’s 400-volt system to charge. When combined with a 300 kW/hour charging station, Porsche’s Mission E can charge to more than 240 miles in range in just 15 minutes – just a quarter of the time it takes a Tesla to charge for the same range. That’s a game changer. There are completely different driving dynamics as well. There’s no denying a Tesla accelerates and corners exceedingly well, but after doing so it needs to protect the powertrain. This results in the battery having to recoup before the Tesla accelerates again. A Tesla’s battery reduces power output during multiple quick accelerations, reducing its highway performance significantly when performing several highway maneuvers in a row. 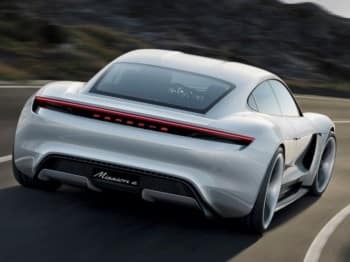 Porsche is built around performance dynamics; Porsche’s Mission E can accelerate off one corner and then accelerate off the next without that downtime in power output. It dynamically changes the understanding of electric performance. Electric Porsches will be able to beat Tesla at their own game – charging twice as quickly and maintaining peak performance without risking the powertrain.